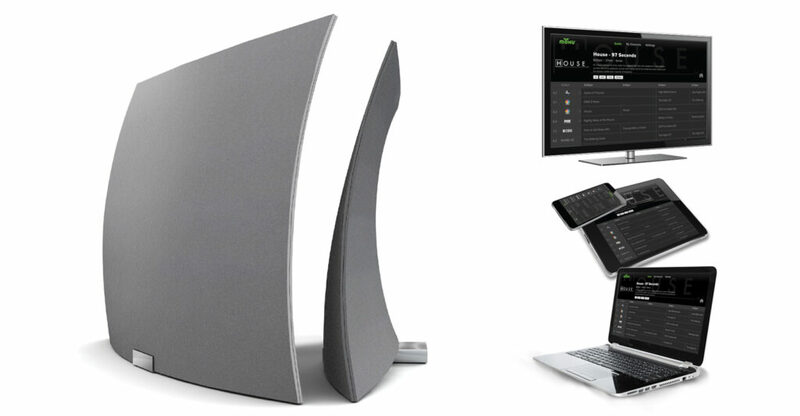 Update: Mohu AirWave is now available exclusively at Best Buy – in stores and online. Have your new AirWave device and need help getting it set up? Visit our AirWave Support page for Setup Guide, FAQs, Support Contact, and Feedback Form. We’re excited to announce the launch of AirWave, the industry’s first-of-its-kind wireless over-the-air (OTA) and over-the-top (OTT) device that integrates live, local broadcast TV with free streaming channels across popular streaming devices, including Apple TV, Roku, Fire TV, Android, iOS, and more. Launching initially as an exclusive at Best Buy early fall 2017 for $149.99, AirWave was built to give cord cutters open, simple and complete wireless access to the live TV and streaming content they enjoy, all in one place and with no monthly fees. As the number of people who cut the cord on cable continues to rise, Mohu created AirWave for consumers who are looking to have complete access to free live broadcast networks, which are available through an OTA antenna, and as well as the over-the-top video content they crave. Keep an eye on our Mohu TV apps page for the most current app and platform availability. We’re also looking to expand to more devices moving forward. First Device to Combine OTA and OTT content: The device combines live, local channels with streaming video in a cable-like program guide, complete with program descriptions, ability to select favorite channels, and view up to 14 days of upcoming content. First Wireless Antenna: No coax needed. Users can set up AirWave anywhere in a home where there is an Internet connection, giving users the freedom to set up the device where they choose. Free TV Everywhere: Watch TV across your favorite connected devices, including Apple TV, Roku, Fire TV, iOS, Android and the web. ClearPix Technology: Proprietary, first-of-its-kind dynamic pixelation reduction technology automatically adjusts to improve image reception of over-the-air broadcasts. For more information visit, http://airwave.gomohu.com. Since 2014, Anne has been an official member of the Mohu team. But her connection to and passion for Mohu goes all the way back to 2012, when she officially cut the cord and picked up an original Leaf antenna in lieu of her overpriced pay TV package. She’s passionate about helping folks discover the freedom of choice (and money savings) that cutting the cord can provide and helping spread the word about the availability of quality TV for free over-the-air. Her personal cord cutter home setup includes a Mohu Sky 60 in her attic and a Roku Streaming Stick on each TV. Beyond cord cutting, she loves to travel, bike, play indoor soccer, golf, and spend time with her family & friends.